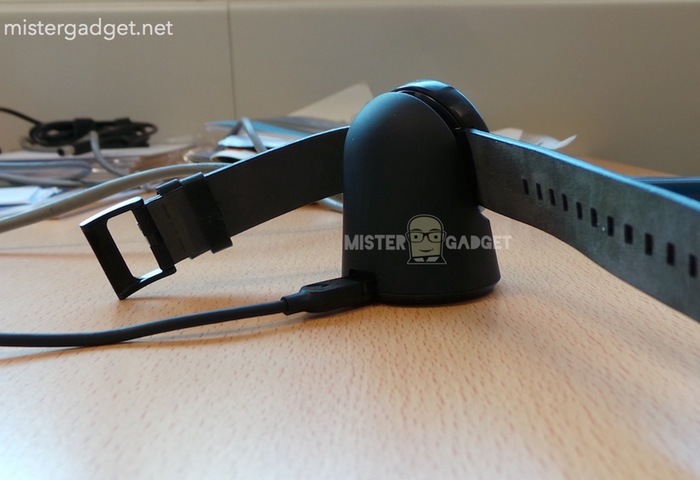 New images of the Moto 360 Smartwatch have been leaked this week revealing the new wireless docking station and cradle that will be available for the Motorola 360 when it launches, enabling users to wirelessly charge their smartwatch when required. 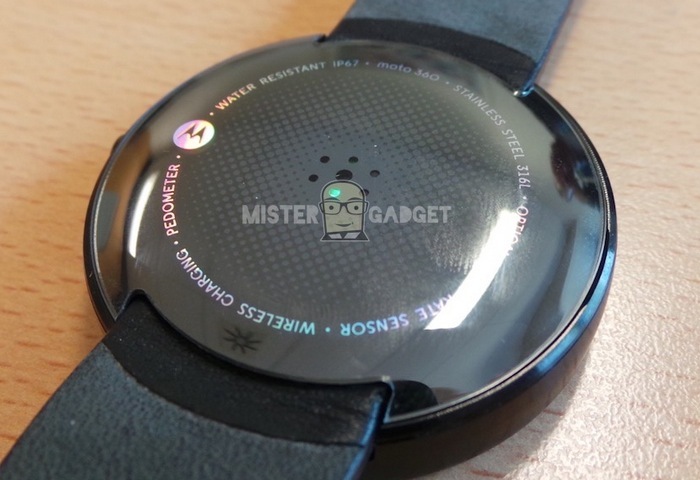 The images of the Moto 360 smartwatch were published by Italian blogger Luca Viscardi, via the Italian Android World website, revealing what the device heart rate sensor and monitor will look like together with more elements of the watches design. 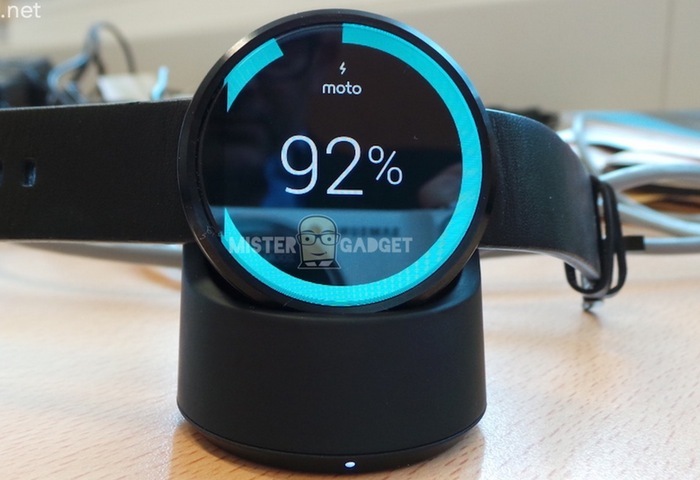 Check out the video after the jump for a first look at the Moto 360 smartwatch. 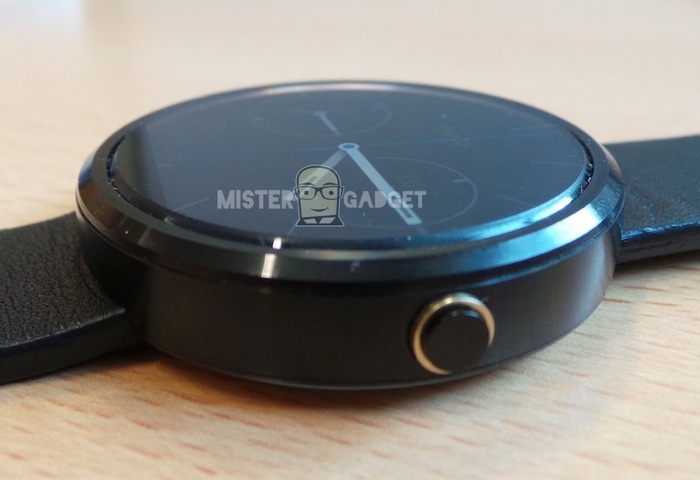 From the look of the new leaked images it seems that the Moto 360 will feature a stainless steel build, quashing rumours that the smartwatch would be entirely made of plastic. the image of the rear of the smartwatch also confirms the inclusion of a pedometer and IP67 water resistance rating. Motorola is expected to officially announce the launch of a new and highly anticipated Moto 360 smartwatch later this month and is rumoured that the device may come with a premium price tag. Although this has not been confirmed by Motorola at the current time. As soon as any more information, specifications or prices are leaked or officially announced we will update you as always.